Jaguar has plumbed its most potent supercharged V8 engine into the XJ, to create the new range-topping XJR. Making its debut at the New York motor show on 27 March 2013, the new model is the fastest Jag limo ever to wear the XJR badge. Under the bonnet is a supercharged 5.0-litre V8, putting out 542bhp. It's the same engine used in the other flagship performance Jaguars: the XKR-S and XFR-S. 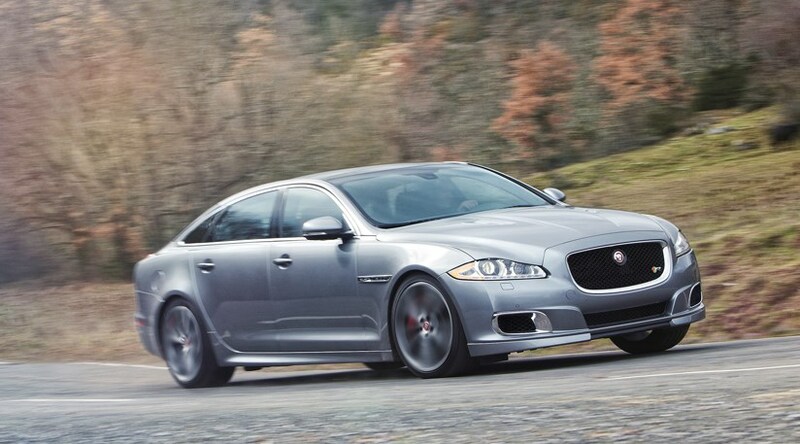 The XJR romps to 60mph in 4.4sec and hits an electronically limited 174mph top speed. The car rides on forged 20-inch alloy wheels and wears a subtle body kit which Jaguar claims provides aerodynamic benefit as well as a sportier look. Power is sent to the rear wheels only via an eight-speed paddleshift auto gearbox. For the R model, the XJ's active differential and electronic nannies have been reprogrammed to cope with the extra power. Suspension settings have been tuned at Jaguar's Nurburgring-based development centre, and the steering has been tweaked using technology from the F-type sports car. The XKR should be light for its size too: at 1765kg, the existing range-topper (the 503bhp XJ Supersport) is 20kg lighter than an XKR-S coupe - and it's expected the XJR will stay very close to the XJ SS's kerbweight. The XJR is priced from £92,335 and is available to order now. In the super-limo class it's spoiling for a fight with the new Mercedes S63 AMG and Porsche Panamera Turbo S. Let us know which is your favourite by clicking 'Add your comment' below.